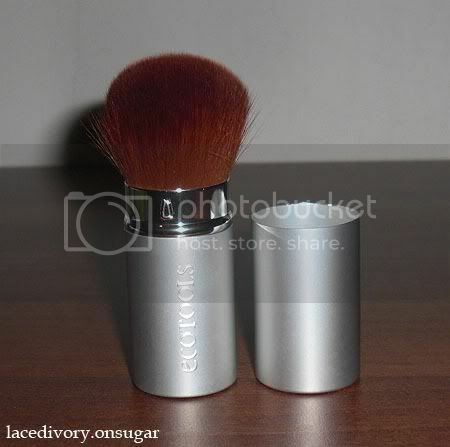 Haul: EcoTools’ Retractable Kabuki Brush! I’d been looking for a brush for my new Dior powder foundation so I went shopping this afternoon with a girl friend, who is also very into makeup as I am. 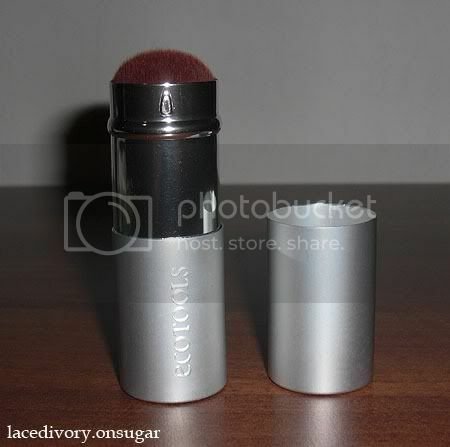 I had come across the Makeup Forever Kabuki Brush but it was a little expensive and out of my budget for the moment. Then we went into Galeries Lafayette and I almost got a Lafayette kabuki brush but then I suddenly remembered that they stock EcoTools as well. So I went over to the EcoTools counter and fell in love with the sample brushes hanging over the shelves. The brushes were all so soft and fluffy and nice, even those that were just normal eyeshadow brushes! I saw this retractable kabuki and simply had to get it. Say hello to my first kabuki brush ever. 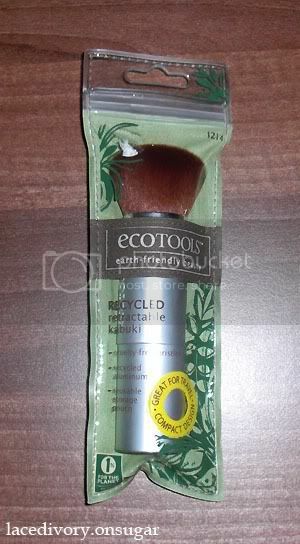 I’ve heard raves about EcoTools’ brushes and now I am raving about it even though I have yet to use it. It feels so soft to the touch, just like the one from Makeup Forever. It’s also super cheap (14.50€). It’s made from recycled aluminium and comes with a zen-looking storage pouch. The synthetic Taklon bristles are also cruelty-free, which is a plus point for all you girls and guys out there who are against hurting animals for fashion or beauty. To be honest, I never knew bristles for makeup brushes involved any form of cruelty in the first place, so this could just be part of a marketing scheme. The best part is that it’s got a nice cap so I can cover my brush when I travel! This helps to keep it clean and maintains the shape of the brush. I don’t have a brush pouch so when I travel, I tie all my brushes up in a bundle and put them together with my hair straightening iron in its pouch! A little bit about Ecotools is that they donate 1% of their annual sales to environmental organisations and do their bit for Mother Earth. I can’t wait to use it! 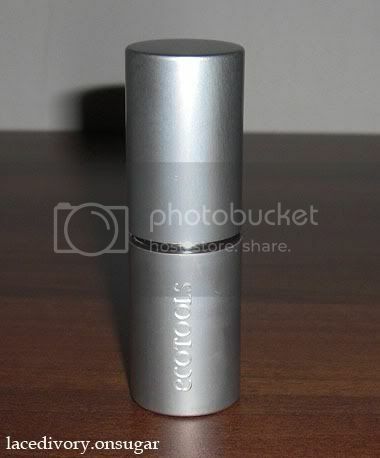 Haul: EcoTools’ Retractable Kabuki Brush! was last modified: January 22nd, 2011 by Roxanne C.